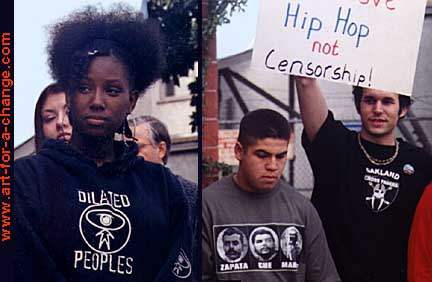 Young Hip Hop fans protest KPFK's pulling of the "Seditious Beats" radio program. and her words were broadcast to the crowd over a megaphone. Goodman congratulated Fidel Rodriguez for his fine show... and also the crowd for defending "Seditious Beats."